The Consumer and Corporate Regulation Division of the Department of Trade and Industry (DTI) briefed the Committee on consumer corporate regulation, focusing on liquor, gambling and lotteries. The three regulatory institutions covered were the National Gambling Board, National Lotteries Board and National Liquor Authority. The presentation detailed the legal framework, activities, achievements and challenges facing the regulatory entities. Regarding the National Gambling Board and National Liquor Authority, common concerns were coordinating the regulations at national and provincial level, taking into account the provinces' constitutionally entrenched concurrent jurisdiction in these fields. The issues with the National Lottery Board centred on the efficiency of the body in distributing funds through the National Lottery Distribution Trust Fund and the details of the organisations which benefited from these funds. Aside from the overarching theme of balancing the economic benefit of these regulated industries with the social harm they cause, Members concerns relating to the National Lotteries Board included the absence of calls for applications for grant funding in 2014 and the handling of backlog applications by the Board. Regarding to the National Gambling Board, Members said they were worried about the efficacy of the National Responsible Gambling Programme, the localisation of the manufacturing aspects of this industry, the Board’s policy on regulation of specific gambling activities, such as horse and greyhound racing, as well as limited payout machines. Concerns about the National Liquor Authority were geared towards the devastating economic and social impact which the high availability of alcohol had on South Africa. The Committee's minutes for 11 July were adopted. The Chairperson also clarified an issue relating to minority opinions in the Committee's report on the budget vote. The Chairperson began by expressing her concern about the lack of advertising by South African alcohol producers, especially as products such as Scottish whisky consumed a significant part of South Africa's foreign exchange. She made this comment, as she had recently learnt that a South African brandy had won an international award. In order to encourage South African manufacturers and agri-producers, we ought to be more patriotic towards South African products, particularly as these export industries not only helped provide jobs, but helped reduce the current deficit account. Contrary to indications in the previous term, the trade deficit had narrowed to a better than expected R190 million in June, from a revised R7.44 billion shortfall in May, according to the South African Revenue Service. Exports had risen by 3.7%, to R80.3 billion, while imports had decreased by 5.1% to R80.5 billion -- and this was what affected the current account. She felt that when there was good news like this, it should be publicised. She added that this data brought the cumulative deficit to R48.2 billion, compared to R35.6 billion over the same period in 2013. She then opened the floor to the Consumer and Corporate Division (CCRD) of the Department of Trade and Industry(DTI). Ms Zodwa Ntuli, Deputy Director General, Consumer and Corporate Regulation, began by saying that the gambling and liquor distribution aspect of the Department's work was complex, because it had both moral and social implications and yet was an important sector of the South African economy. This had led to the DTI having to balance the economic benefits with the social impact of these activities. Being partisan to either side would be detrimental to the delicate work of fighting poverty by stimulating local industry, yet the industry had such a negative effect on the most vulnerable in society. It should therefore be approached with an objective mind. The regulated industries to be discussed were gambling, liquor and the lottery. She moved on to a graph, based on a World Health Organisation Study, depicting the Southern African Development Community (SADC) countries' alcohol consumption per capita, which showed only Namibia consumed more than South Africa. This resulted in the WHO labelling South Africa as one of the highest per capita consumers of alcohol. She noted that these figures could serve only as an indication, because there were many illegal operations. She said this was indicative of the extent of the danger posed to society by alcohol. However, the reasons for this may not all lie with the trade's regulation, and social development factors could be more important in combating the problem. Therefore, a coordinated strategy was needed to fix the problem. She then listed the regulatory entities in the field, which were designed to allow the provinces to exercise their concurrent regulatory jurisdiction and their exclusive right to issue licences. The National Gambling Board (NGB) functions under the National Gambling Act, and is tasked with administering the licensing of gambling establishments, maintains the national gambling register and monitors the socio-economic impact of gambling. The National Lotteries Board (NLB) was created by section 2 of the Lotteries Act 57 of 1997 and is responsible for managing the National Lotteries Distribution Trust Fund and advises the Minister on the issuing of the licence to conduct the National Lottery. The National Liquor Authority (NLA) is a chief directorate within the DTI and regulates the manufacture and distribution of liquor, licensing and enforcement of the Liquor Act. Ms Ntuli said that the DTI had previously approached Parliament to address the organisation's failings. However these were in the past, and she asked for acknowledgement of its achievements. For example, the organisation had dealt with the problem of unused R6 billion, had improved its turnaround times on applications for grants from the National Lotteries Development Trust Fund (NLDTF) and had created a contact centre to assist beneficiaries and applicants. This was an example of the NLB also opening itself to more public interaction, in an effort to give the institution a public face. Lottery policy and law provides for the efficient processing of applications, and a key amendment was the replacement of the part-time committee which adjudicates on the grants from the NLBTF by a full-time committee, because this would help deal with the vast number of applications for funding which come to the NLB speedily. The Act also provides for NLB to be the final arbitrator regarding internal disputes resolution, where applicants are unhappy. This poses a problem, because then unsatisfied applicants are forced to approach regular courts to have the matter settled and therefore a system has been designed where a further committee is charged with being a review body. The tendency for applicants to appeal the NLB's decisions lies in the fact that the fund is administered by the government and applicants are therefore not sensitive to the high number of applications received for large sums of money. The accountability of distribution agencies for their day to day operations used to be unclear, but now the NLB, as well as the Minister and DTI, have been given this role. Another important amendment was allowing the proactive funding based on proper research and identified needs such as emergencies, to better enable the NLB to actually help without being bogged down by bureaucracy. However, she emphasised that the DTI also plans to ensure that the process is transparent and the decision is made by multiple people. She also highlighted the problem with conduits or middle-people falsifying documentation and submitting illegitimate claims. This had resulted in the NLB having to look at all applications in order to determine their bona fides. The DTI therefore planned to enhance the capacity of the NLB to help the small applicants who were unable to provide things like financial statements on their own. The application process has also been simplified . She then outlined the future projects relating to the lottery, noting that the DTI does not plan much involvement because it feels that the critical legislative interventions which were necessary have been put in place and all that remains is monitoring of the effect. The DTI was working on the regulations to the legislative amendments with the NLB and once that was complete the legislation will come into force. A focus area is the communication and re-branding of the NLB, to highlight the improvements which have taken place in the sphere of the lottery. The DTI also seeks to implement the full-time adjudication function, as described above. The DTI will also have to monitor the appointment of a licence operator for the lottery, because the specified period for the granting of the licence was coming to an end next year. Lastly, the turnaround times for grants will need to be continually monitored. The achievements of the NLB include having distributed over R18 billion to good causes since its inception 15 years ago. This makes the NLDTF the biggest fund in the country, distributing approximately R2 billion on average per annum, which was indicative of the extent of the revenue generated by the lottery. The NLB has two mandates: regulation and distribution. The regulation of the national lottery, currently operated by Gidani, and other lotteries was done by the National Lottery Board. In this respect, there were legislative gaps, as there were unregulated lotteries which were a breeding ground for fraud, particularly by “SMS to win” schemes, which were in fact lotteries. A further issue was lotteries which were licensed by the provinces. The distribution function receives 34% of the revenue of the National Lottery, which then processes applications and makes payments. It was important to have this function operating efficiently, because of the capacity for it to have a tangible impact on the upliftment of South Africans. The NLDTF distributes funds to different categories of applicants. These were charities, which receive the largest portion; arts, culture and recreation; sports and recreation; and miscellaneous. Ms Ntuli noted that the NLDTF could perhaps benefit from a cap on the amount which was distributable to one entity, as this could help curb applicants’ expectations from the Fund. A graph depicting the provincial spread of the funds distributed by the NLDTF showed Gauteng receiving over R300 million more than any other province. She explained this by saying that this was not due to favouritism, but rather because many of the applying organisations have their headquarters in Gauteng and the nationwide scope of these organisations was not factored into the graph. However, the situation was still not optimal, as the minimum target was to have at least 5% distributed to each province. The NLB has conducted outreach programmes and established help desks in these provinces, and this has produced positive results. 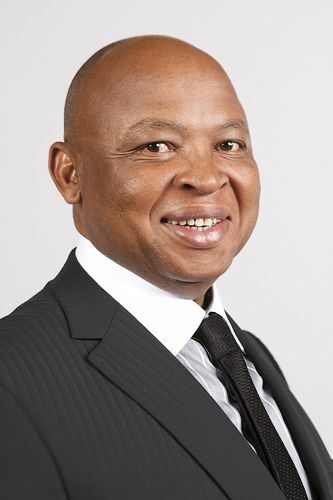 The Chairperson wanted to ensure that, as the NLDTF received 34% of total revenue, Ms Ntuli provided information on what percentage of the National Lottery's total revenue the operator Gidani took for itself, and what its operating costs were. Ms Ntuli said that this would be provided later and turned to two important projects with which the NLB was currently engaged. Aside from the selection of an operator for the National Lottery, these were the verification process and the National Indaba 2014. The verification process entails the NLB the in-depth analysis of the projects funded by the NLDTF, and this has so far seen the withdrawal of R250 million as a result of non-compliance and fraudulent activities by beneficiaries. It also involves verification of the existence, location and projects of an applicant for funding, prior to it being granted. The annual National Indaba 2014 was set to be hosted in September 2014, and all actual and potential NLB stakeholders from all provinces would be invited. This was aimed at fostering communication between the NLB and stakeholders, particularly for the NLB to receive input from these parties. Ms Charlotte Mampane, Chief Executive Officer of the NLB, shared the vision of the NLB which sees itself as a catalyst for social upliftment. Challenges included difficulties with the high number of applications received for distribution, with demand exceeding the 34% transferred by Gidane to the NLDTF, which translated to approximately R2 billion. She said that the NLB will not only use help desks to assist applicants to turn in compliant applications, but plans an aggressive outreach campaign targeting the priority applicants through the provincial offices, which will be further rolled out. The NLB has developed an impact study which informs the funding strategy and deals with matters such as proactive funding and whether the NLB should treat a first time applicant differently from applicants who have already received funding. There was a need to modernise systems which had been built over the past 15 years and synergising with other institutions which were already operating in the NLB's priority areas. The target of a 5% spread in provinces had been achieved in the previous financial year, and they would now focus on 50% of distributions going to rural areas. Turning to compliance, she said that the NLB faced similar problems to NGB, and illegal lotteries were reducing the quantum of the 34% transferred to the NLDTF. The NLB was approaching the DTI for enforcement powers in this regard through amendment or regulations. Ms Ntuli said that the regulation of gambling and the lottery were guided by very different policy choices and that in terms of gambling, the control was more of a priority than revenue maximisation, because of the absence of a legislated charity mandate. Among the achievements of these regulatory efforts by the DTI and National Gambling Board (NGB there had been a Gambling Review Commission Report in 2010, which looked at the entire gambling industry in order to identify regulatory gaps. The report was submitted to the Select Committee on Trade and International Relations, and this committee had produced recommendations in response. She said that there were a few areas in the report which the DTI still needed to deal with. These are the development of policy and a bill to be tabled in Cabinet later this year, the analysis of public comment on the norms and standards developed and the finalisation of the regulations on the excluded persons register, increasing control of advertising and re-certification for gambling outlets. Further matters include dealing with the issues of online gambling, animal racing and the need to ensure that the legislation agreed to was dynamic and flexible enough to cater for technological developments. Turning to gambling trends, Ms Ntuli said that according to a study done comparing South African, Kenyan and Nigerian trends, South Africa has the largest gambling market overall and the largest land-based casino gambling market. The gambling sector consists of casinos, bingo, sport betting and limited pay out machines, among others. The total value-added impact of the gambling sector was R21.9 billion in 2012, but this could be viewed as more reason to regulate this industry, as it could be indicative of the extent of South Africa's gambling problem. The future work of the DTI included norms and standards being finalised, which will be presented to Parliament later and were aimed at standardising the regulation across the provinces, with the aim of introducing these now so that they will be easier to integrate into legislation at a later point. The regulations for interactive gambling will be prepared in order to finalise these before the end of the current financial year. The implementation of the exclusions register data base will be completed within the financial year. The DTI and the NGB will work towards enhancing partnerships with all partners for efficiency, for the same reasons as outlined in relation to the NLB. Ms Ntuli turned to a graph describing the revenue generated, in taxes and levies, through the various regulated activities, with casinos generating 76%, betting 14% and bingo 2%. Turning to revenue generated per province, Gauteng, KwaZulu-Natal and the Western Cape were the leading contributors, with 40%, 25% and 19% respectively. Ms Ntuli described efforts to combat problem gambling by the National Responsible Gambling Programme (NRGP) which was established in 1999 as a voluntary initiative by the gambling industry to try and curb problem gambling. All gambling sectors, except the lottery, contribute 0.1% of their gross gambling revenue towards the NGRP, amounting to R17.3 million in 2013. This funds public awareness, counselling for problem gamblers on a toll-free line and school curricula concerning the dangers of gambling and the industry as a whole. The NRGP faces a problem with concurrent jurisdiction with the provinces. Prof Linda de Vries, Chairperson of the National Gambling Board, said that the NGB was generally responsible for the regulation of gambling and was working towards ensuring that no internationally fraudulent activities occur, using the Finance Intelligence Act. Illegal gambling continues to be a major problem and the results have been poor in the past. A co-ordinated effort with the provinces and other government departments was required to combat illegal gambling. While the NGB has seized approximately 1 600 illegal machines, this has only resulted in one conviction and some fines. She also highlighted the implications of research particularly in terms of having both quantitative and qualitative research was one of the NGB's strengths. Turning to regional regulation, she said that while there was a moratorium on the issuing of bingo licences, she had learnt that six new licences had been issued in the Eastern Cape. This was because the national regulatory framework did not give the NGB the power to declare such activities illegal. The NGB had completed both a qualitative and quantitative research into the effects of gambling on communities for the first time in 2013. The centralised national monitor of limited payout machines' contract was coming to an end in June 2015, and the NGB was determining what had been learnt. Under the Act, the NGB was supposed to give permission for anything more than five limited payout machines (LPMs), but due to the provinces’ concurrent jurisdiction, this was a problem. Prof De Vries said that the NGB was in the process of assisting neighbouring and SADC countries with their regulatory frameworks, particularly aiming to try to keep money within the continent. Regarding problem of gambling awareness, she said that it was obviously insufficient just to have a toll free number, and one of the successful efforts had been partnering with national media to broadcast the message in all vernacular languages. She concluded by saying that the horse racing authority needs to be reviewed, because it was self regulating and only the betting aspect was regulated by the provinces, to foster better accountability to national structures. Ms Ntuli began by outlining the regulatory framework. Provinces have the jurisdiction to licence sales to the public and micro-manufacturers, and deal with this through provincial legislation. At the national level the distribution and macro-manufacturers were licensed by the National Liquor Authority (NLA) under the National Liquor Act 59 of 2003. The figures around the issuing of licences were difficult to coordinate between the national and provincial authorities, but the National Liquor Regulators Forum (NLRF) was aiding in communication. The DTI's future work will include participation in the inter-ministerial committee, which includes all the ministries which are implicated in liquor, including the Departments of Health and Trade and Industry. This committee had adopted various action plans and this direction had guided the policy review process and development of norms and standards. The current regulatory framework was fractured along provincial lines, and the policy interventions aim towards uniformity in the regulations, particularly to aid in enforcement. The DTI also plans to enhance the capacity of the NLA in order to make it easier to obtain a liquor licence, as this had resulted in the use of intermediaries who conduct the applications on behalf of individuals, charging fees far in excess of the filing fees. There was a need to strengthen the National Liquor Policy Council, which needs to develop norms and standards around issues such as trading hours and licensing requirements, which were inconsistent around the country, creating enforcement problems at border regions and incentivising illegal operations. These norms and standards were to be proposed as national legislation in order to ensure that consistency in the regulatory framework was achieved. This was also important for the balancing exercise that needed to be done regarding regulation in order to ensure minimal social impact and maximum economic benefit. She listed the thresholds for differentiating micro from macro manufacturers, with beer at 100 million litres per annum, traditional beer at 50 million litres per annum, wine at 4 million litres per annum and spirits and other liquor at 2 million litres per annum. This was important for deciding whether the national or provincial authority had the competence to licence the manufacturer. Ms Ntuli spoke about the cooperative governance which has manifested itself in the NLRF. The national and all provincial authorities sit on this forum, as well as the South African Police Service. The SAPS has specialised officers tasked with alcohol enforcement, as these people were specifically empowered to handle the investigation and seizure of illegal alcohol. The NLRF has run campaigns to combat alcohol abuse which reached 10 500 people directly, and 33 million indirectly. The NLRF also conducted 3 500 inspections of registrants to ensure compliance with the terms of their licences. She provided details in a graph of the numbers of distributors, manufacturers and renewals handled by the NLA and said that a process was under way to check whether the high number of distributors registered were still operational. She also noted that there were only 14 macro-manufacturers in South Africa and the NLA. Regarding renewals, these came about through expiration, and when a business moved it was required to renew its licence, as different conditions may be attached to it. She gave a breakdown of the provincial statistics which had been acquired through the NLRF. In terms of application turnaround times, what was received continued to be higher than the number processed. This was partially due to the fact that retail licences in the provinces affected people more and were therefore subject to public comment, and this process added to the turnaround time. A pie chart showed the profile of the licences granted, with on-consumption making up 62.2% of the total granted, at 34 353, while 1 419 manufacturing licences had been issued and 140 manufacture and distribution licences had been granted. Turning to the number of inspections conducted with the SAPS on an ongoing basis, she said that the number of inspections would not be sufficient in light of the number of outlets, and therefore partnerships with communities was essential to combat illegal operations. In conclusion she spoke about turnaround times for the granting of national licences. In the legislation there was no limitation, but the DTI had set a target of 90 days. This may take longer where documentation was not fully provided, resulting in a proposal of the conditions, subject to the missing documentation being provided. Mr G Hill-Lewis (DA) said that regarding the NLB, he was concerned about the absence of a call for applications in 2014, as this negatively affected the ability of non-profit organisations to plan on a multi-year basis and he wanted to know why every few years there was no call for applications. Regarding the NRGP he said he was disappointed with the low number of calls received by the toll-free number, which was about 1 800 calls annually, translating to roughly five calls a day. He agreed with Prof De Vries that outreach needs to be conducted. He was concerned that the contribution of gambling entities to the NRGP was R17.4 million, which suggests that the gross gambling revenue was R1.7 billion. However, the revenue of even one listed company in this sector was more than that . How was the revenue calculated and its accuracy ensured? He said that the reason for the proliferation of bingo halls was a direct result of the delay in regulation and this was a problem, because now access to bingo was not controlled. On LPM's he said that in most provinces there was a disparity between the number of these machines which were authorised and the number actually rolled out and this needs to be controlled because this is an accessible and destructive form of gambling. He also wanted to know how many times the National Gambling Policy Council met this year, because this was critical for provincial coordination. Ms Mampane said that last year there had been a call from the arts sector, with 2 000 applications, some of which were still being adjudicated in the current financial year as the budget for the previous year had been depleted. In November 2012, there had been a sports call, with 4 000 applications received, and a call was planned for the following week. The charity call was also conducted in November 2012, producing 7 000 applications and the same thing that happened in the arts sector had happened here. Prof De Vries said that the low figures relating to the NRGP 0800 number were due to its nature -- requiring access to a telephone and awareness of the service -- but she noted that it had received an award for being one of the “best practice” models in the world. Further, the awareness campaigns, especially the Y-generation campaigns targeting youth, had been pushed and included a variety of ways for awareness of the 0800 number, but also on gambling problems in general. Turning to the gross gain in revenue and the corresponding contribution to the NRGP, she said that this was properly monitored and audited provincially. Aside from this tax, they were taxed in terms of normal business income tax. On the bingo regulations, she noted the Member's concern and said the DDG had addressed the proposed remedies. The National Gambling Policy Council had met formally twice, but had met four times in total with the other meetings not reaching a quorum. Regarding the LPMs and illegal gambling in general, what was required was more partnerships with communities and public hearings on the matter, and the implementing agencies needed to coordinate themselves properly to monitor and prosecute offenders. Ms Ntuli said that a meeting of the National Gambling Policy Council was planned for this quarter in order to meet its statutorily required two formal meetings per annum. Dr Z Luyenge (ANC) said that contradictions arose when the Deputy Director General spoke on behalf of the other institutions. Specifically, he wanted clarity on the turnaround times where the DDG had said that the issues were a thing of the past, yet the CEO of the NLB had said that delays were due to high levels of applications. He requested a list of the organisations funded by the NLDTF, so that Parliament could determine the effectiveness at constituency level. He wanted to know what had actually been done with the proceeds of the lottery, aside from the 34% transferred to NLDTF. Regarding the applications, he wanted to know what was being done about the backlog of cases, because he had personal experience of an applicant who had applied in 2012, received a project number and when the NLB was approached for an update, the applicant was told that the project number was not legitimate. Regarding horse racing, he wanted to know how rural horse racing was regulated, because of disparities in the types of horses used. Ms Ntuli said that the brief which the DTI had been given was to provide a brief overview of its mandate and the implementing entities. It would be useful for the Committee to have interactions with the specific entities themselves, to get a deeper understanding of their work. She added that a comprehensive gambling review was under way. Ms Mampane said that a list of all the entities funded from inception to date would be provided, and added that part of its annual reporting practice was to include the names of all the projects funded in that year. Prof De Vries said that traditional horse racing was an interesting aspect of the horse racing world. The NGB was arguing for its inclusion of this in the regulatory framework as part of developmental efforts. Mr C Mathale (ANC) said the NLB had spoken of itself as a catalyst for social upliftment. How was the problem of irresponsible gambling being dealt with and was it monitored for proactive intervention? Ms Mampane replied that the vision which he referred to was that of the NLB, but the NGB was responsible for handling issues around problem gambling. Mr D Macpherson (DA) asked for an update on greyhound racing and where the DTI foresaw this issue going. The KwaZulu-Natal gambling board was seeking to introduce 32 more bookmaking licences, and he was concerned that this would flood the market and undermine established businesses. Prof De Vries said that this has been noted in the gambling review committee and more research was being done. Regarding the KwaZulu-Natal gambling board, she said that it had to move with government imperatives, such as skills transfer and BEE, and in order for transformation to be realised, this intervention was necessary, because of the unwillingness of stakeholders to help in this regard through efforts such as taking on a transformation partner. The Chairperson asked whether there continued to be challenges with the manufacture of gambling machines as had been previously indicated, leading to their import, and whether this was still the case and where these machines were being manufactured. She was concerned that previously it had been said that casinos would be regulated in order to ensure that children were not exposed to their activities, to the extent that children were kept far away from the machines in order to avoid a subliminal influence on these children. She wanted to know why buses were being provided to senior citizens to go gambling. Gambling was cast as an addiction, yet it was not physical. She felt more should be done in this regard. Prof De Vries said that in line with government priorities, such as the stimulation of local content, there was a local operation manufacturing gambling machines in Atlantis, Western Cape, and the purchase of these locally produced machines could potentially be part of future licensing conditions. The casinos as a destination had various forms of entertainment, although she agreed with the Chairperson’s sentiments that children ought not to be directly exposed to the gambling aspects. However, one must not lose sight of the fact that these casinos do make a major contribution to the entertainment industry, through the provision of facilities such as ice rinks and move theatres. On gambling not being a biological addiction, she said that research funded by the South African Responsible Gaming Foundation had revealed that generally where a person was addicted to gambling, almost always this was coupled with an addiction to alcohol or drugs. This was part of a global trend which had seen medical councils being tasked with handling gambling addictions as a health related concern. Ms Ntuli added that with regard to local manufacturing, in certain sectors fully imported machines were being used, although at times components were assembled locally. This showed the drive towards localisation of manufacturing which had resulted in the setting up of the facility in Atlantis. Its feasibility would be affected by the lifespan of the machines produced and the demand for them. Ms P Mantashe (ANC) wanted to know if there was a backlog of applications which had not been responded to, because there was a contradiction with Ms Ntuli saying that slow turnaround times for applications were a thing of the past, yet the adjudication of applications had spanned two financial years. Ms Mampane, said she did not understand where the contradiction lay with what the DDG had said, because the backlog referred to was due to a lack of funds to distribute in the 2012 financial year, which could be contrasted with a lack of communication which had previously led to applications taking much longer. However, it could be fair to expect the NLB to adjudicate these matters in one financial year. Mr F Shivambu (EFF) wanted to emphasise that the list of grant recipients, including their addresses and contact numbers, needed to be provided so that the Committee could actually perform its oversight function to determine whether the funds had been properly utilised. The Chairperson said that as Parliament was closing, the DTI would have to send the information to the Committee, if not today, then by Monday, so that it could be distributed digitally to the Members who would be engaging in constituency oversight. She also noted that Members who had follow up questions on the above matters should forward them in writing and await responses. Ms Ntuli concluded this section of the discussion by saying that policy proposals on interactive gambling, electronic bingo and animal racing were going to be submitted to Cabinet for approval, followed by public comment, so that certainty could be provided to the industry. This was part of the gambling review commission, which had been sparked by the concerns of Parliament. She also committed to providing the list of funding recipients to the Committee today. In order to clarify a seeming contradiction in the presentation regarding turnaround times, she said that she had said there had been vast improvements, but not that there were no challenges. The Chairperson then opened the floor to Members for questions on the Liquor Regulation Authority. Ms S Shope-Sithole (ANC) said that she would like the NLRF to be advised of the major problem of youth alcohol consumption and the indirect effect this had, especially in townships and villages. She emphasised that this needed to be controlled. The problem was so alarming that she had considered suggesting that Parliament place a moratorium on all liquor sales. On the different provinces having different regulations, she said her understanding was that South Africa was a unitary state and this was contrary to a section in chapter three of the Constitution which enjoined all spheres of government to operate in a way that does not divide the state. Mr Shivambu said that it was problematic that there was no unified stance on alcohol, because of the deep social problems, such as alcohol-related deaths and crimes, which sprang from a lack of regulation. It was too easy to access alcohol and the enforcement of the laws regulating this industry in South Africa and government needed to deal decisively with this pressing problem. The Chairperson said that she felt that the problem did not lie merely in regulating manufacturing, but rather the entire chain needed to be held responsible. She said this because she was aware of a situation where a school had been built in Alexandra, Johannesburg, in full view of a liquor store, and she would like to know exactly what the zoning regulations were, because it would be a back to front approach if one had to decide the zoning of schools to suit liquor stores. Ms Ntuli replied that the sentiments of the Members were the same sentiments of the inter-ministerial committees. A major aspect was limiting availability, and an example of this would be a limitation of the trading hours for distributors. She agreed with Mr Shivambu that the cost to society in terms of human capital and economics was very high -- approximately three times the amount of the contribution of the liquor industry. She therefore wanted to assure Members that their concerns formed part of the inter-ministerial committee's policy submissions which would come to Parliament. In the interim, enforcement was the focus, particularly regarding illegal sales, because this could directly limit availability. The provinces were committed to the same policy, but the revenue generated was a factor pulling them away from the policy. Despite this, they had accepted the norms and standards. Ms Ntuli also said that the norms and standards would deal with matters such as the one raised by the Chairperson regarding zoning. Once this process was completed, these norms and standards would be proposed as legislative amendments and if passed would inform the legislation governing the regulation of alcohol across the country. The Chairperson went through the minutes of Friday 11 July, page by page, and asked for a proposal for adoption. Mr Hill-Lewis proposed adoption and this was seconded by Mr Mathale. The Chairperson said that she had received a response to queries raised by the Chairperson and Members regarding the procedure for the consideration of the budget vote. The Table on Procedure had indicated that past practices dictated that the Committee reports reflect the recommendations, which included the request that the House approve the Department's budget. Any decision not to adopt the report was captured in Committee minutes and not in the report. Parties retained the right to express their views in the debate. Recent budget reports published had deviated from this practice, with the reports requesting the House to approve the budgets and include various parties' stances on the budget. The National Assembly made provision only for minority opinions to be expressed regarding legislation, which the budget is. The Committee Section had taken note of these deviations and put together a procedural task team to deal with the problem, seeing that money bills were treated differently in the Constitution and by Parliament.